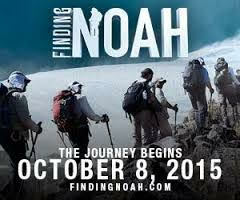 Finding Noah is a brand new documentary movie coming to Theaters one night only October 8, 2015. 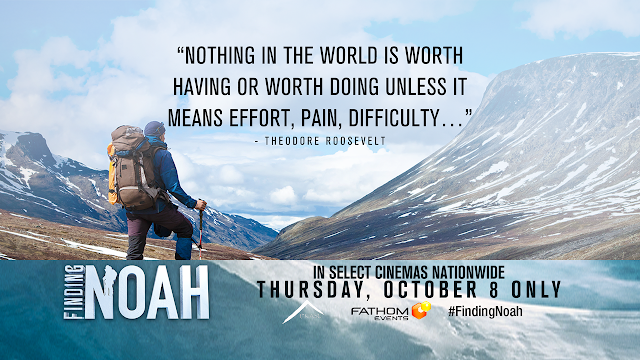 Finding Noah takes viewers through the journey of attempting to discover the location of Noah’s Ark and the hidden remains of the precious ark. The director and the producer of the film, Brett Baum has put together a team of people including scientists, pastors, glaciologists, and geologists. His crew studied the Bible and found out the scriptures noted that the ark hit land in Mount Ararat. This mountain is located in Eastern Turkey. The top of the mountain contains icy glaciers and rocky ledges. The film shows the adventure of their climb to the top and how they ran into challenges during their exploration. I would recommend this awesome movie to anyone who is wanting to learn about Biblical history and they are curious to see where the ark could be located. I loved how the film shared the entire background information on Mount Ararat. I liked how they discussed the tribe that lives near the mountain and how they are constantly fighting for their land in that region. It was inspiring to see the courage that these film crew members had in traveling up the mountain against the very real threat of dying due to the cold rocky conditions and being shot at. I also love how the film reveals the false information found in other people’s documentaries and how they discovered that one even created a false ark in an attempt to deceive people. I felt the film did a wonderful job in sharing their experiences and describing the background in details where people could understand. After watching the film, I learned about how big the ark could have been and what it was made out of. I loved how they showed the many different technologies they used in trying to find the ark. I was amazed at some of the new technologies I haven’t seen before. This movie is one that people don’t want to miss and maybe some will even want to join their crew and be a part of the next adventure! In Live Love Lead, Brian Houston has written a book to inspire readers to believe that their future can be better than their past. He explained to readers the importance of travelling through the narrow gate and following Christ and His teachings. He divided the book into three sections live, love, and lead like Jesus. Brian Houston grew up in the church and his father was a preacher. Brian also had the calling on his life to become a preacher. But he admitted at first he had an enormous fear of speaking in public and he would constantly blink when he spoke. He overcame his fear by relying on God’s help to see him through. Throughout the book, he revealed how he built a mega church called Hillsong Church in Australia and a few other Hillsong churches in other locations around the world. Hillsong is also the home of incredible praise music such as, “Mighty to Save, Desert Song, Your Great Name, Oceans, From the Inside Out, Shout to the Lord”, and many more. One of my favorite chapters was entitled, “Confident in the Call” because this chapter discussed how many of us struggled with being conformable in our own skin and living the life God has called us to live. Brian Houston explored the Biblical character Gideon and how he lived in fear and how he was hiding and running from what God told him to do. Gideon was a part of the army of Israelites. The Israelites was held captive by the Midianites. God called Gideon to lead the Israelites in battle against the Midianites. Gideon was hiding in fear and God called him a mighty man of Valor. Gideon argued with the angel trying to explain how he wasn’t capable and questioning why God allowed the Israelites to be taken captive by the Midianites. Brian encouraged readers to find out who God has called them to be and to live out the life He has called you to live. I also loved the personal stories about how Brian Houston struggled with preaching and how he made excuses and tried to run from his true destiny and calling. When he attended Bible College, every student was expected to give a devotional discussion in front of seventy people. When he was supposed to go next, he walked out of the session and drove away. He didn’t teach a devotional because he was afraid to speak in front of a large number of people. It’s amazing to see the aftereffects and watching him on TV, I wouldn’t have ever guessed that he ever lived in fear of preaching to large audiences. And to see him leading one of the biggest churches in the world now is inspirational. I would recommend this life changing book to anyone who is ready to live their life to the fullest and pursue their God given purpose for their life. This is the first time, I have heard some of the stories about Brian Houston’s life and some background stories from the lead singers of Hillsong. It was very encouraging to read about how in 1995 a Christian singer, Darlene Zschech became a worship leader at the very last minute. Hillsong’s worship leader quit the day before they were supposed to record an album. Many people was afraid of a woman leading a worship album. They took a chance and the song, “Shout to the Lord” was a huge success. I also appreciated the courage Brian Houston took in revealing the personal story about his father and how he discovered painful secret his father kept. The secret threw Brian through a whirl-wind and to see how Brian dealt with the pain and moved forward was inspiring. The book has countless practical lessons on how to live, love, and lead like Jesus and this book is one that I highly recommend reading! One of my favorite chapters was the chapter on boundaries. I have personal struggled with telling someone no when they want me to do something and commit to something. This one discussed critical questions to ask ourselves about our commitments and priories. I thought these questions were great and this is something I will have to ponder before taking on too much. I will also take Valerie’s suggestion and begin writing out my commitments and listing the things to say yes to and the things to decline. I would recommend this life changing book to anyone who is prepared to refine their life and they are ready to dig deeper into the Word of God and to live out Jesus teachings. I really enjoyed the vast topics Valerie Woerner covered such as boundaries, goals, waiting, joy, influence, health, and so much more. I loved how she shared tips throughout the chapters to assist readers into growing in their spiritual lives. 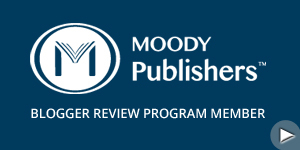 Another favorite chapter was the one on waiting on God’s timing. I loved how she was transparent about how she struggled with being single and waiting on God’s perfect timing. She revealed that she didn’t have a boyfriend until she was almost 25 years old. She also shared how she met her husband. I can relate to her story since I didn’t have my first girlfriend until I was 24. I immensely liked how she shared a few reasons that the waiting process can still be beautiful and life changing. Waiting for the timing on meeting your future spouse is difficult when everyone else is getting married and having babies and you’re believing for the same thing in your life. But waiting teaches us to be grateful before it happens and to also be thankful when it finally does happen. If you’re looking for an impactful book to guide you in your spiritual walk, then read this one!